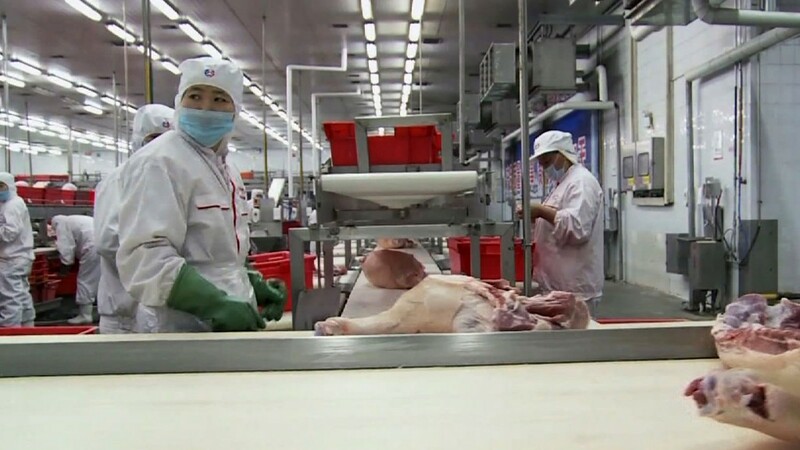 Who’s behind the Chinese takeover of world’s biggest pork producer? When a cyclone hits India, the sea-drenched soil can remain salty for years. Farmers are finding new high-yield rice seeds are not withstanding the salty onslaught as well as seeds developed more than a century ago. China Needs Milk and California Has Too Much. Is It a Match? California dairy farmers are pumping out milk at higher rates each year to try to make a profit in light of the rising associated costs of corn and soy used in cow feed. Singapore's skyline is composed mostly of skyscrapers, so it's no wonder residents are looking up when they're considering places to grow fruits and vegetables in this high-density Asian island. In order to grow fresh produce on limited land, Singapore has constructed towers where seedlings grow into eatable plants. In the small Middle Eastern country of Qatar, where fresh water is scarce and most food is imported, scientists are testing ways to grow vegetables that use more greenhouse gases than they produce. Researchers in Qatar are trying new techniques to grow food, such as pumping carbon dioxide into greenhouses and using drip irrigation in sandy plant beds.